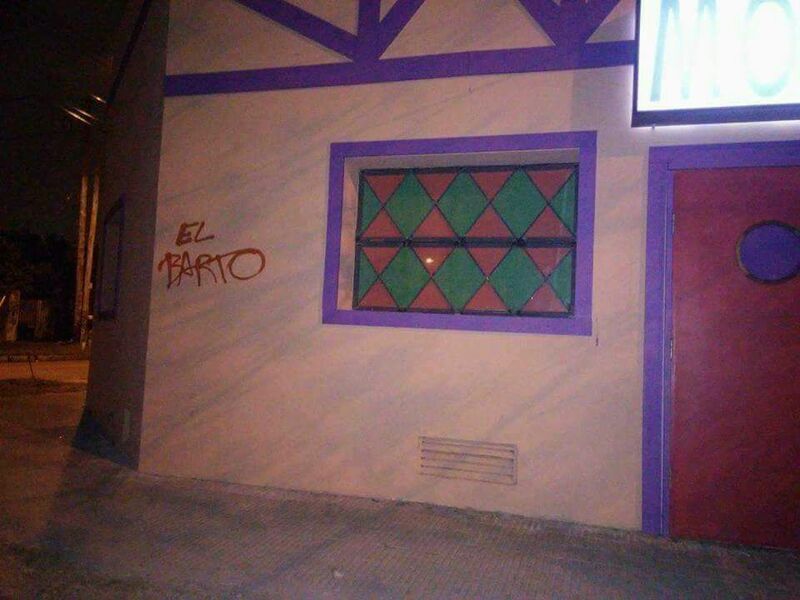 Because it's better to beg for forgiveness ignore the cease-and-desist orders than ask permission, this is a shot of the Moe's Tavern somebody is building in the Ituzaingó suburb of Buenos Aires, Argentina. Obviously, I'm already planning my pilgrimage. It is located on the corner of Calle Martin Rodríguez and Laprida , in an area of ​​low houses, rather quiet, and about 10 blocks from the train station. The site tribute to The Simpsons is still in work and, as Infobae found out with the real estate company that sold the property, the owner still did not ask for the regulatory permits or the necessary qualifications to put a business there. However, they clarified that inside the house will also recreate the tavern as it is in the series. Wait -- so is going to be a house or a bar? Or a bar inside a house? I'd tell you I'm going to revisit this story as more details emerge, but you and I both know I'm going to forget. Honestly, I've already forgotten I'm going to forget. "Is that like a double negative and you actually WILL remember?" Jesus, this isn't a word problem. Thanks to Matias, who agrees it would be great to have a Moe's in your neighborhood. It has already been vandalized. If it's a house and not a business, that the owner would be profiting off, is this illegal? Well if it is a private club that requires the owner's permission and isn't open to the general public... who knows. Hmmm. I had assumed that the legal issue would revolve around whether or not the owner was profiting off the copyright'd material, but possibly the non-public aspect could impact it as well. Apparently Argentina somewhat frequently ignores the copyright laws of the United States, so regardless this possibly won't be an issue for the owner regardless.